As a Landlord, you have a legal duty to your tenants to ensure the property they live in is safe and free from health hazards. 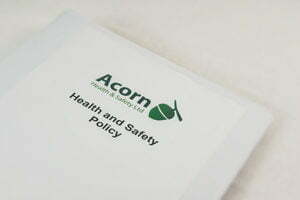 Our consultants carry out impartial safety audits, inspections and fire risk assessments on individual units, multiple occupancy units and other types of residential and commercial properties as required. How do we support Landlords with health and safety inspections? We will assess any hazards evident at the time of inspection/assessment and make recommendations, if required, based on this. As part of the inspection we’ll examine a number of records/documents such as servicing, maintenance and electrical safety records. Alternatively, if these aren’t available we ask clients to review and sign a declaration to this affect. We will provide written evidence of inspection and/or fire risk assessment and a report of any recommendations required for the property. In addition to satisfying the requirements of a number of legal duties this also provides the type of evidence increasingly requested by insurers and Landlord accreditation schemes.